Spring officially started on March the 20th. On that day our Sylvia mini cherry tree started flowering. In the past two weeks we have had a good amount of sunshine, almost too good to be true. After such a tough winter all this sunshine really helps to be cheerful. I also wanted to remember the fact that we are going through Lent which started on Ash Wednesday(5th of March). This is an important time for every Christian and myself as a Catholic. For 40 days Jesus fasted in the desert in preparation for his ministry. By the time lent has finished, Spring will be at its best. So a lot to look forward. 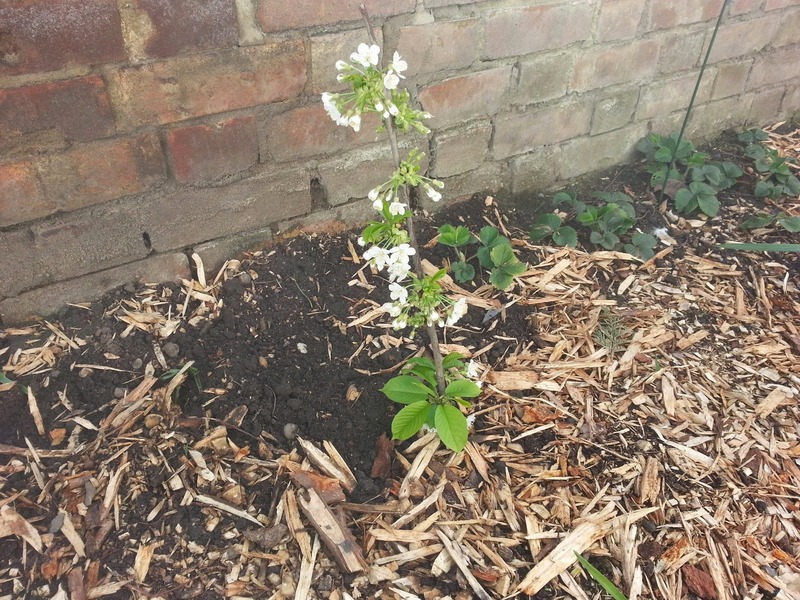 Just today we planted a Czar plum, in our shadiest spot. Also we planted a kiwi tree which we are training against a trellis fence. This was the last tree that we planted. Our garden is now full of fruit trees but only God can allow it to thrive. In God we hope for plenty of fruits to enjoy in the summer and years to come. Below you can see pictures of our mini cherry tree, Czar plum and Kiwi.